Very spacious. 4 bedrooms. Sleeps 8 in comfort. Open views to mountains. Very spacious luxury apartment: one of the larger ones in this 2008 development. Can sleep 8 in comfort, leaving free the large open plan living area which opens onto sunny front balcony with uninterrupted mountain views. Entertainment: 32' flat-screen TV with cable channels; DVD; CD player; access to free wi-fi. Oak dining table can seat 8. Kitchen area: breakfast bar; oven; hob; microwave; dishwasher; fridge and separate freezer. Master bedroom: double bed; en-suite shower and toilet. Two twin bedrooms. Fourth bedroom /study with double sofa-bed, desk and free broadband. Family bathroom: bath with shower over; toilet; washing machine/dryer. Underfloor heating. Constant hot water. Reserved underground parking for one vehicle. Ski/boot room. Free on-site 20m indoor pool and spa with sauna and steam room; child friendly café-bar with wi-fi and Sky Sports. Concierge service. Five minutes to ski slopes and pretty village of Rauris. Sorry: no smoking; no pets. This penthouse can sleep 8 in comfort while keeping free the large open plan living area. The apartment has splendid open views to the ski slopes and towards the glacier at the head of the Rauris valley. Bedrooms 1-3 can sleep 6: one double bedroom and two twin bedrooms. In addition, if needed, there is sleeping space for two further guests on a comfortable double sofa bed in Bedroom 4 which is a bedroom/study. This room also has a desk, chair and bookcase. A high chair is available together with plastic tableware for young children. There is Lego for young children, and board games for older children. Gut ausgestattet, hübsch eingerichtet, viel Platz (ideal für uns 4 Personen mit Baby), hervorragende Aussicht, fußläufig zu den Liften und Vermieter, die sich um ihre Gäste kümmern. Einziger Nachteil: Bett im Elternschlafzimmer nur 1,40 m breit. We just came home from a perfect skiholiday! Not only the skiconditions were perfect but also the apartment was everything we wished for! After a day skiing we came home to a very comfortable apartment providing us with our every need. We really felt at home in this spacious beautiful place where we were together but with enough space for every one to enjoy some time alone. The apartment is very well equipped, with very good beds and everything you need. We liked it so much that we spend most of our evenings in the apartment, relaxing and enjoying the very nice fireplace!! We didn't want to go home!! We stayed in this apartment for a week in August 2011. The apartment is extremely comfortable and well equipped and the view from the living room is wonderful. We made good use of the indoor and outdoor pool and sauna. Lots do see and do in the area and the village has enough restaurants for meals out if you don't feel like cooking. It was out first trip to Austria and we were not disappointed. We highly recommend this apartment and the local area and will definately be returning. My and my sisters family(8 people),spent a very nice week in this apartment in Rauris, few weeks ago.When we arrived and pass the entrance door, all we said was "wow!!!! "There was a very spacious ,new,fully equipped,beautiful decorated apartment.Quite enough space for 8 people,warm,with beautiful view on the mountains,and gondola.So gondola is accros the street-very near.Rauris is small, peaceful town with very friendly people.In the complex there is a spa,near the apartment with indoor pool(with warm water)and jacuzi which is outside(nice relaxation).Apartment also have a underground parking place connected to apartment with stairs.I will100% recommend this apartment,if you want comfortable and peaceful holiday,with or without kids . The apartment was everything we had expected and more. All the rooms are spacious and airy with masses of storage. The decor is light and attractive, and the views from the balcony are breathtaking. Absolutely everything has been provided for a comfortable stay, the washing machine in the bathroom being particularly useful. Rauris is a wonderful location for a family summer holiday. In addition to the pool on site we made extensive use of the open air pool a gentle 15 minute stroll away through the pretty village. There are lots of summer activities, all the mountain restaurants are open for walkers and trippers, and the Rauris 'bubble' cable car opposite the apartment runs every day to whisk you to the top of the mountain. I would recommend this holiday to any family looking for a mix of relaxation and exploring. The kids' (15 and 11) favourite activites were summer tobogganing at Saalfelden and the spectacular gorge walk at Taxenbach. Top tip is to consider the Salzburgerland card which gives free access to hundreds of activities across Salzburgerland including cable cars, museums, swimming pools, minigolf and even the toll road at the top of the Rauris valley. Available from the tourist office in Rauris and many other locations. In the Schönblick development in the beautiful Hohe Tauern National Park. Five minutes to centre of pretty village of Rauris: no through traffic; easy access to excellent bakery, good restaurants, and two supermarkets. In winter, five minutes to nursery slopes and lifts. From Rauris at 950m, the gondola rises to 2175m. Wide uncrowded pistes; 3 mountain huts; floodlit toboggan run. Ideal for families, beginners and intermediate skiers. Extensive cross country ski and winter walking trails around Rauris. Within 45 minutes: wide range of ski resorts for all levels including Zell and Kaprun, the Hoch König circuit, the Gastein resorts, and St Johann. In summer, hiking trails lead directly from the apartment into the countryside. In Rauris itself there are tennis courts; an outdoor swimming pool/lido surrounded by meadows and mountains; and cycles for hire to explore the mountain trails. Within 45 minutes: golf; white water rafting at Taxenbach; and swimming and sailing on the lake at Zell. Other Activities: Golf. White water rafting. Booking and payment. The prices quoted above are given in Euros. Payment will also be accepted in Sterling. 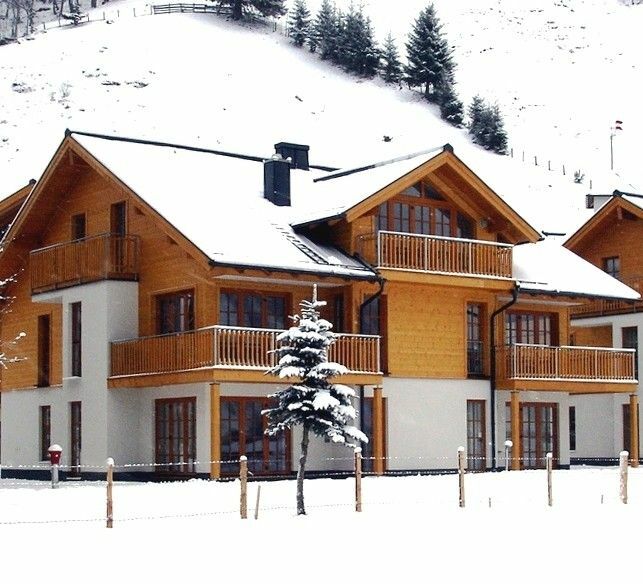 For details of Sterling prices and for more details of the apartment, please visit our website at www.hohetauernluxuryapartment.com Payment in Euros will be by means of electronic transfer into our Rauris bank account. Payment in Sterling will be by cheque drawn on a UK bank account.